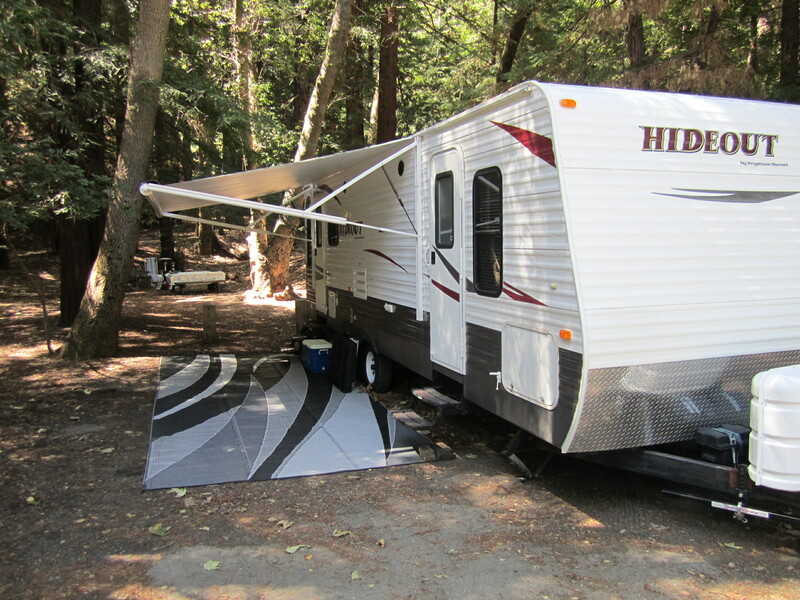 RV owners who would like to earn a little extra income by sharing their RV with others. 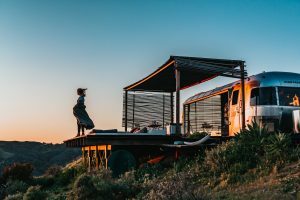 Their RV may often go unused, or they may be looking to help offset the expenses of owning an RV, such as loan payments, insurance, maintenance and storage. RV rental companies also list their units on RVPlusYou. 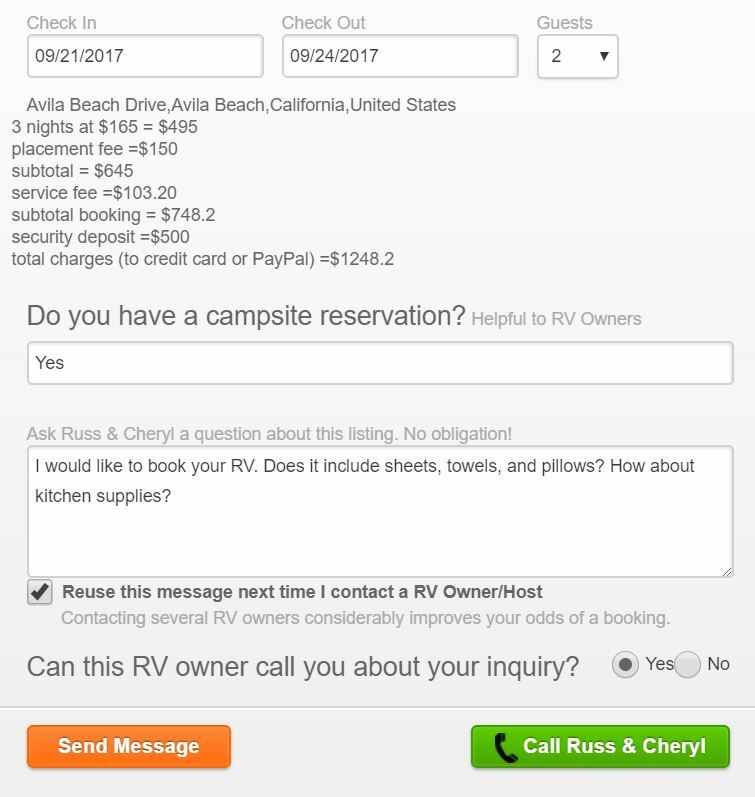 The RV owner must accept your reservation request for the dates and pricing you have agreed to, then you must click on the shopping cart to pay and confirm your reservation. Accepted payments include Paypal, Visa, MasterCard and American Express. When you reach the payment window, enter your billing information first, then click ‘Continue’. You will see the option to pay by credit card on the next screen. Click for details on How to Book. 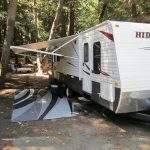 RVPlusYou provides a Rental Protection Policy, but this policy only applies when the RV is rented through this site, and within the contracted rental period. The RV is NOT covered while the RV is moving. Coverage applies only after the RV is set up at the destination. Most auto policies cover RV trailer towing, as well as your motorhome while you’re driving it to the campground destination, but check with your agent to be sure your RV is covered properly. Insurance is always a question that should be discussed with your insurance professional. The ‘Click to Call’ feature is located in the messaging center and allows RV Owner and RV Renter to communicate over the telephone via live phone call. 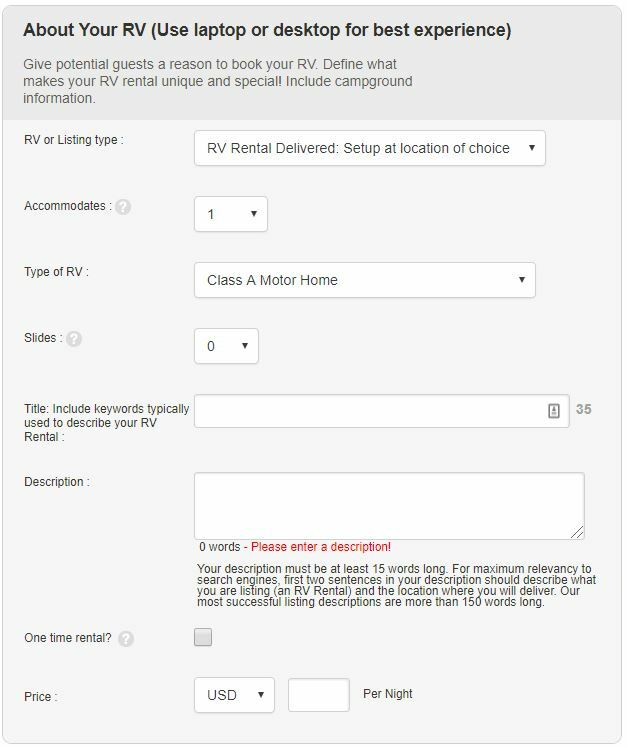 The feature is only available after an RV Renter has made a rental inquiry to an RV Owner AND the user profile is updated with a verified mobile phone number. To Opt Out of the feature, edit your profile and untick the box marked, “Share this number”. RVPlusYou will process the transaction and holds both renter’s deposit, as well as owner’s funds. 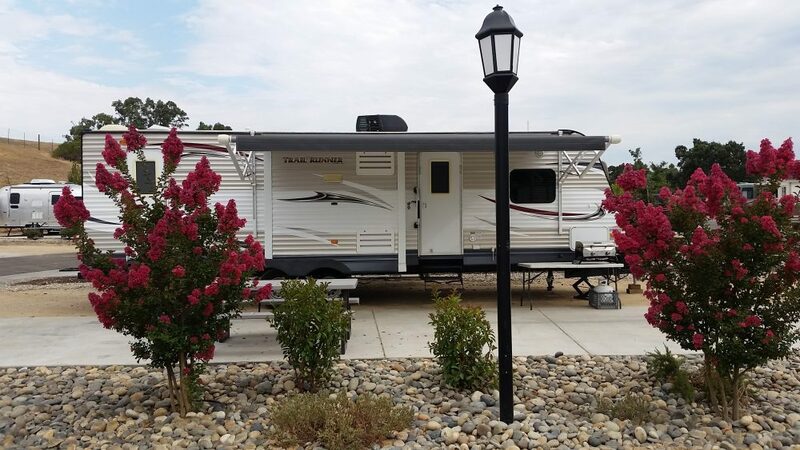 Once the rental is complete, RVPlusYou returns the deposit to the renter and pays the RV owner their portion of the rental fees within 72 hours. On the day of check out, if the RV Owner will notify RVPlusYou that there is no damage to the RV, funds can usually be released next business day. RVPlusYou make sure that both parties get what they expect; a reliable RV rental delivered when it’s supposed to be delivered and payment for services. Having a 3rd party expedite an RV rental transaction provides peace of mind. Besides customer support through toll free number, chat, and email, RVPlusYou provides marketing, advertising, reservation and booking software, as well as a Protection Policy designed to protect both parties. 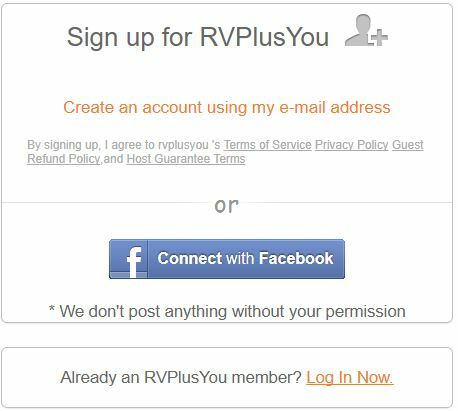 RVPlusYou is built on a trust platform, meaning that each party is verified by phone number, email, and social media (if available). 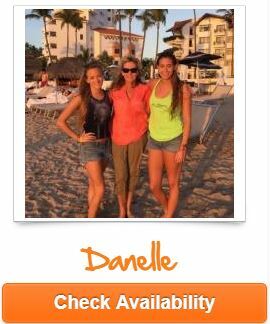 Each party creates a profile that includes a full name, descriptive personal bio, and photos. We encourage users to get to know each other through our messaging system. Renters and RV owners are rated and reviewed by each other for past transactions. This builds value for RV Owners and peace of mind for RV renters. Remember, when in doubt, ask questions! 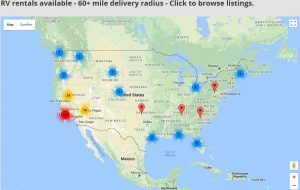 Reach out to multiple RV owners. If you′re not getting the answers you need, consider booking with another RV owner. RVPlusYou does not get involved in the delivery of the RV. The logistics of the RV rental delivery and set up is arranged by the owner. The RV is usually delivered by the RV owner, RV Vacation Rental manager, or a contracted RV Transport company. Yes, however most damage as well as excess miles on your RV will happen when you let others drive or tow. If you want to limit damage and maintain resell value, your focus should be on delivered RV rentals. Driving or towing any size recreational vehicle is unfamiliar to most renters. Even experienced renters have trouble with unfamiliar units. If a renter asks to drive or tow your rig, it is completely up to you. Note: RVPlusYou Rental Protection policy does not apply to moving RV rentals. The safest rental transaction is when RVPlusYou handles the transaction for both parties, which qualifies for the Protection Program. It is also wise for both parties to conduct business on the RVPlusYou platform, where conversations are recorded and a qualified 3rd party is expediting the transaction. It is important to note that RV owners booking off line are in violation of our terms and conditions. 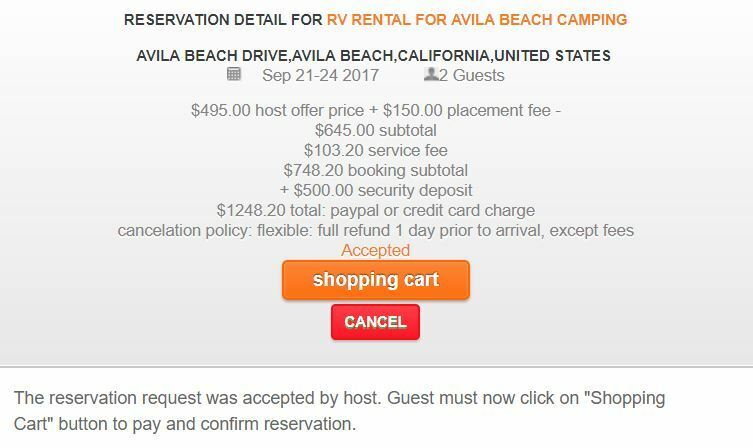 The booking fee normally paid by the renter will be invoiced to the RV owner for any bookings that occur off-platform. The RV Owner is responsible for the quality, cleanliness, and functionality of the RV that they are renting out to guests. Remember, RVPlusYou is holding a security deposit from renter and the rental fees due to RV owner. 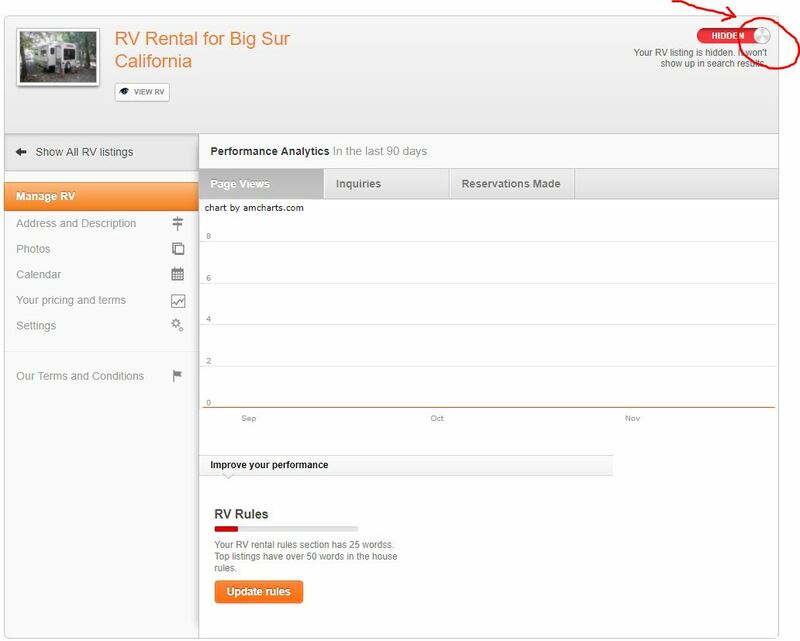 If a renter cancels, then the cancellation policy for that particular RV will apply. If an RV owner fails to deliver, then he or she will not be paid and a negative review will be posted. Renter will recover their rental fees. The RVPlusYou Protection program is paid by RVPlusYou from booking fees (6% to 17% depending on total cost) charged by RVPlusYou for each rental. The Program only provides coverage when booked through the RVPlusYou website and only for “Delivered RV Rentals”. As a RVPlusYou member, your primary source of protection against damage or liability is your automobile insurance policy, especially when the RV is being transported. However, certain insurance policies can contain exclusions, i.e. situations in which the insurance company will not pay for a claim. It is not uncommon for automobile policies to expressly exclude coverage for losses arising out of rental activity, and the involvement of third parties. The liability coverage on your rented recreational vehicle presently may not be sufficient to protect you, where your negligence has caused bodily injury to others or if you accidentally cause damage to another person’s property as a RVPlusYou recreational vehicle owner. Moreover, today, when multi-million dollar lawsuits are common, your automobile policy may provide substantial liability limits, but it may not be enough. The RVPlusYou Protection Program can respond where automobile’ insurance does not. Whether the issue requires medical care or repair of property, you will typically have coverage up to the program limits. There are exclusions, such as expected or intended damages, abuse or molestation, liquor liability, etc., so it is important to fully understand the program details. As a RVPlusYou Recreational Vehicle Owner, your primary source of protection against loss is your automobile insurance policy, especially when you’re transporting your RV. However, certain insurance policies can contain exclusions, i.e. situations in which the insurance company will not pay for a claim. It is not uncommon for automobile policies to expressly exclude coverage for losses arising out of commercial, business and or rental activity, or the involvement of third parties. Simply put, the property coverage on your recreational vehicle presently may not be sufficient to protect your asset. It is important to consult with your professional insurance advisers to ensure your policy will respond to losses associated with and arising out of your activities as a RVPlusYou Recreational Vehicle Owner. The RVPlusYou Protection Program can respond where your automobile insurance does not. Whether the issue requires replacement or repair of personal or real property related to the RV rental, you will typically have coverage up to the program limits. There are exclusions, such as expected or intended damages, smoking and pets etc., so it is important to fully understand the program. The definition of accidental damage is pretty uniform across insurance policies: damage that occurs suddenly as a result of an unexpected and non-deliberate external action. In layman’s terms, that usually means an unintentional one-off incident that harms the Recreational vehicle or its contents. So, general wear and tear or damage that occurs gradually will be excluded. Recreational Vehicle Owners also won’t be covered for mechanical failure. Provide as many details as possible regarding the incident; A police or fire department report (if one was made); For equipment or appliances, documentation includes things like invoices, receipts, photos, make/model/serial numbers (or even user guides and warranties); Photographs, video, and images where available. TAKE NOTES! By verifying your mobile phone, you qualify for “Click to Call”. Click on your dashboard and find your profile. Click on “edit profile” and then verify your mobile phone. Follow the prompts. You are now set up for “Click to Call”. Note: Both parties (RV renter and RV owner) must agree to allow phone calls in their profile. Please check your junk or spam mail box and change your email settings to list RVPlusYou as a safe sender. If you’re still having trouble, contact Customer Support. Remember that passwords are case sensitive. Be sure you have replicated your login exactly as you typed it when you signed up and that “Caps Lock” button is not on. If you continue to have issues, contact customer support. Yes. Click on the ‘Edit’ tab and you will see it there. No. RVPlusYou is different than other RV rental companies. 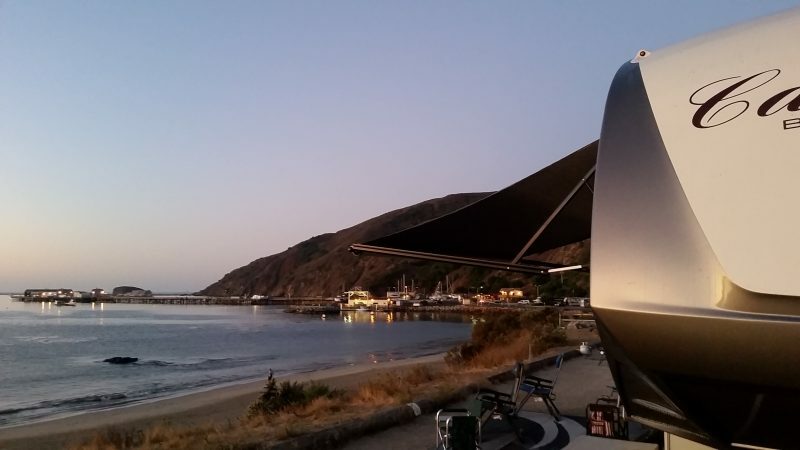 Our RV owners will deliver, and set up the RV for you at an agreed destination—RV resorts, campgrounds, special events, farms, even private homes. You never have to drive the RV. You simply drive up to the location and begin enjoying your RV accommodations. At the end of your stay, you check out and drive away. Yes, you almost always need to find your own campsite reservation, but that can be negotiated with the RV owner. 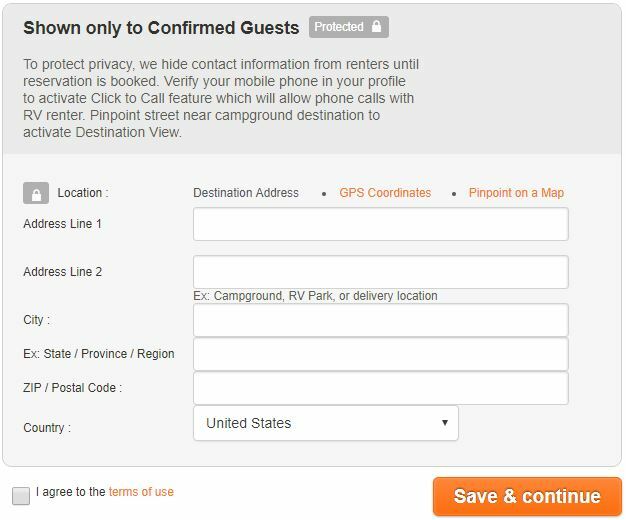 The campsite fee is paid separately from your RV rental through RVPlusYou unless you have made arrangements with the RV host. Some campgrounds are first-come, first-serve and your RV host can advise you how to best to secure those sites. 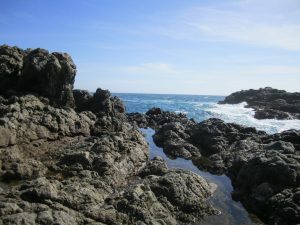 Other campgrounds book up months in advance and require reservations well in advance. Rates and fees are determined by each individual RV owner. Owners publish a nightly or weekly rate that may vary depending on the season, special event, etc. Most also charge for delivery (to cover gasoline and set-up) and cleaning. Some may offer optional amenities such as camp gear, firewood or fuel for a generator. RVPlusYou collects a nominal booking fee (6% to 17%) from renters based on a percentage of your reservation dollar amount. Charges are clearly outlined for you when you make a booking inquiry to an RV owner. For more information, see RV Rental Cost. Yes, RV owners set the amount of the security deposit which is collected and held by RVPlusYou. If there is no damage to the unit at the conclusion of the rental period, the deposit is returned in full to the renter within 72 hours. The RV owner will notify the renter within 72 hours if there are any charges for damages that will be deducted from the security deposit. Always communicate with the owner first. RVPlusYou facilitates the payment transaction, but the rental agreement is between you and the RV owner. Most issues can be resolved easily with cordial communication. If resolution cannot be found, call RVPlusYou at 800-977-5444 , or email at support@RVPlusYou.com and we will mediate any disputes between the RV owner and renter. Remember, it’s always a good idea to document any damage or issues with the RV. Fill out the contact information and click ‘Continue’. You will see the opportunity to pay by credit card on the next screen.